As I come across additional information, stories or pictures that are related to the events recounted in my article, I will add to the library of this guestbook blog. One such file is an article that had been copied numerous times on copiers from “back in the day” before it reached me as a “pdf.” The article was from a military publication, most likely the Pacific “Stars and Stripes,” from the first or second of April, 1972. This article tells the daring rescue story of the F Troop, 8th Cavalry air crew that rescued the 407th RRD’s team from Alpha Four. I decided to do a little research on the crew of that Huey – Pilot (Warrant Officer Nielson), Co-Pilot (Warrant Officer John Frink) and door gunners (Sergeants Lowe and Vickers). Although I have not found any information on Warrant Officer Nielson or either door gunner, I did discover more about John Frink. John is a true hero. 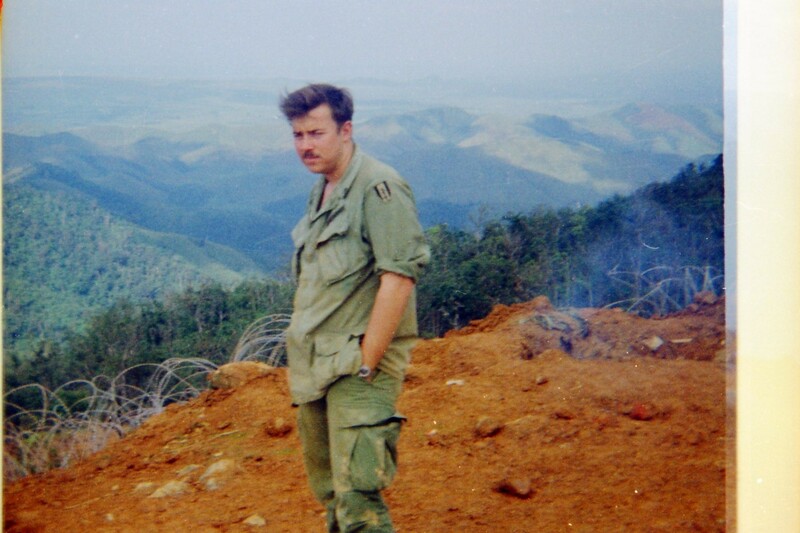 He was 20 years old, like myself at the time, and participated in several successful rescue missions during his short time in Vietnam. He gave his life in one of them, trying to rescue a downed pilot on April 2nd, 1972. I would encourage you to read the account of the latter rescue best told in the words of John Frink’s fellow “Blue Ghost” pilot – Mike Austin. Read Mike’s account. I’ve attempted to contact Mike to gain his permission to post his story, but I have not heard back from him. I downloaded the article from his original posting. 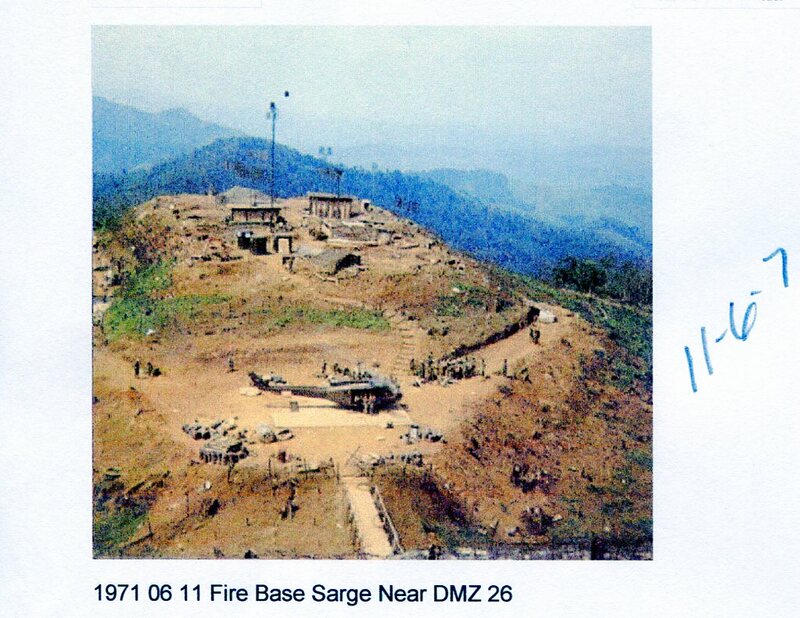 I also stumbled on another perspective of the Easter Offensive of 1972, Lt Gen Ngo Quang Truong’s account, provide an Army of the Republic of Vietnam Officer’s view of the campaign and battles. Another related rescue operation – the evacuation of Quang Tri Citadel. I think that I’ve located on the FSB Sarge location on Google Maps (Satellite view) … can anyone tell me if this is correct? 12/17/2009. 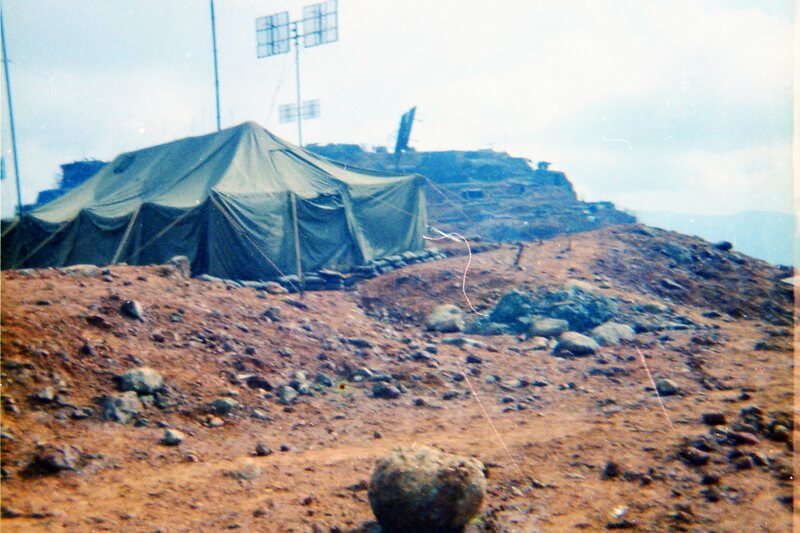 I was surfing the net looking for some more pictures from the ’71-’72 timeframe and stumbled on a set taken by Rich Bort – the post photographer for the 8th RRFS – Tri Bac Station, Phu Bai. On his pages, he includes an article about the infantry unit that refused to deploy around Phu Bai during the Easter Offensive of 1972. I had remembered a story like that, but had never seen anything in print. As long as the web site’s up, you can find the articles here. I’ve also saved the page as an Adobe PDF in the library in case the site goes away or becomes unavailable in the future. If you run across information that you think I’d be interested in having, please email me. Enjoy the reflections, and don’t forget to leave me a note. 1/16/2015 – Thanks to Don Gaudet for finding an NBC News clip of Jim Laurie’s reporting from Quang Tri during the Easter Offensive of 1972. I distinctly remember the news crew being there while we were evacuating from Three Star Compound, and often wondered what happened to the footage of that day. I searched for some record of the reporter, but at the time, did not recall who it was, and only thought I remembered NBC being there. It could have been anyone. I almost think some of us are in this segment that Mr. Laurie posted on YOuTube: at the 1:59 – 2:00 mark there’s a line of Soldiers heading out to the Chinook – based on height analysis, a watch, and the way the guy’s running, I could be in that line of soldiers. Keep your eyes open for any more footage – I’d like to see the uncut tapes, myself. your photo of map quest is the correct location. 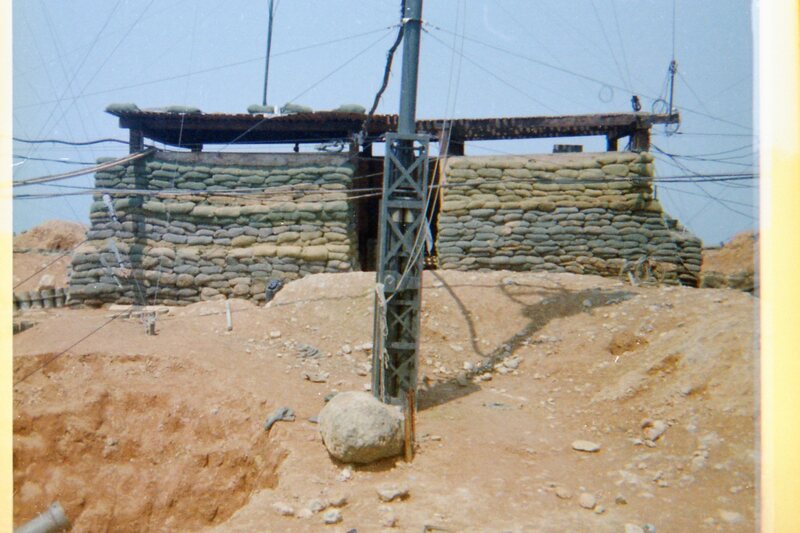 if you compare the dozer cut just below the top on the lower peak with the one’s I have of it, during lam son, they are an exact match I was site chief for a micro wave relay on the lower peak, during 1/2 of the offensive the other 1/2 I was in Khe Sanh at the terminal end. 337 th sig co 63rd bn 12th gp 1st sig bde. Thanks Steve for the confirmation – it was sort of difficult to tell with the resolution of the imagery from Google, and I’m glad you were able to recognize the features. We’re hopefully that the recovery team will be able to get up on that hill in the next few years. Thanks also for your service as a fellow soldier. 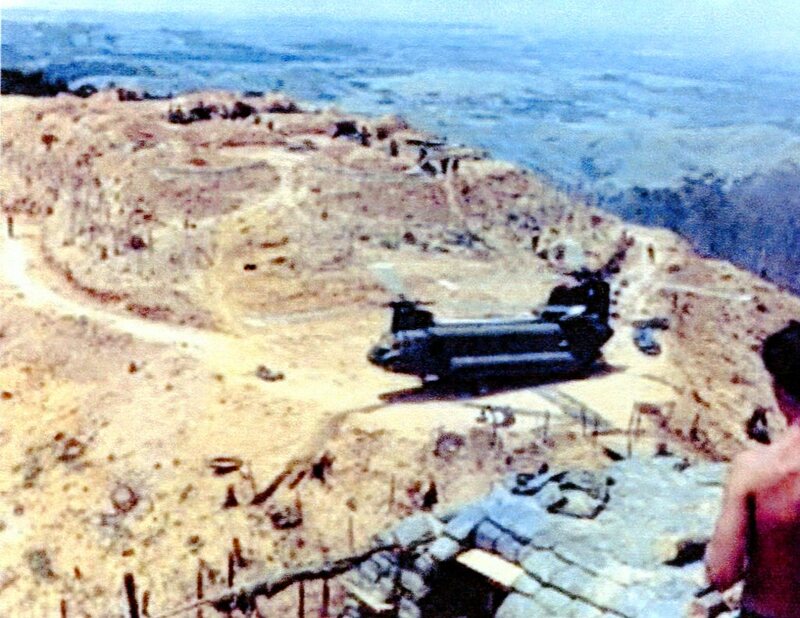 As a E5 I was site chief for a Microwave relay on the lower hill on the other side of the helo pad during lam son 719. you have the correct hill’s, if you compare your photo of the lower hill w/photo’s I have then, you can see the dozer cuts around the hill just below the top, are an exact match. Hello, I’m the Command Historian for INSCOM. I came across this as I was looking into the action around FSB Sarge and the deaths of Gary Westcott and Bruce Crosby. This is a remarkable piece of writing. It captures the events with straightforwardness and verve. As you know, INSCOM is the heir to ASA’s lineage and history. I would be honored, if–when the time comes–you would like to retire your original copy of your narrative. It’s an wonderfully human piece of the ASA story–one of those pieces that too often get lost. As command historian, I want to ensure that future generations of intelligence professionals understand the service of those that came before, not just the homogenized historical reports. Let me know if you need anything (I know that you usually work through my indispensable Karen).